Too many individuals find themselves altogether unprepared for retirement. The difficulties that this unpreparedness creates are compounded by the fact that, with longer life expectancies, retirement is longer than individuals had originally anticipated. A recent article discusses how people can plan for the three phases of retirement. Because Americans are living longer than ever, many will have to avoid pulling benefits from social security until it is absolutely essential. A person who delays taking his or social security withdrawals beyond his or her full retirement age will receive a benefit increase from 6% to 8%. Importantly, those who delay accepting social security benefits may need to sign up for Medicare at age 65 to reduce the cost of long-term health insurance down the road. After a person reaches age 70 ½, traditional IRAs and employer-sponsored retirement plans will require that person to begin taking annual withdrawals. Often, these plans have a steep penalty for those who do not take the withdrawals. 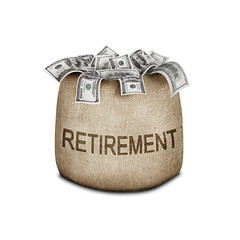 Conversely, Roth IRAs don’t require individuals to make withdrawals during their lifetime. Therefore, for those who do not anticipate needing such withdrawals, a Roth IRA is a good option. In the later years of retirement, estate planning becomes paramount. It is important to review all financial documents to ensure that they still align with your wishes. Moreover, many people experience changes in their circumstances as they age. It is important to be sure that these changes are accounted for in your estate plan.